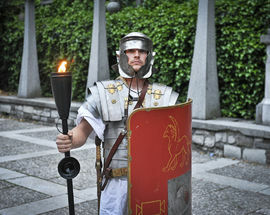 In 14 AD Jesus was in the middle of his awkward teenage years, Tiberius became the 2nd emperor of the Roman Empire upon the death of his stepfather Augustus, widespread famine hit China forcing many people to turn to cannibalism, and the Romans founded a permanent civilian settlement along a picturesque river in the shadow of the Alps called Emona, which of course would later grow into a quaint little world capital called Ljubljana. 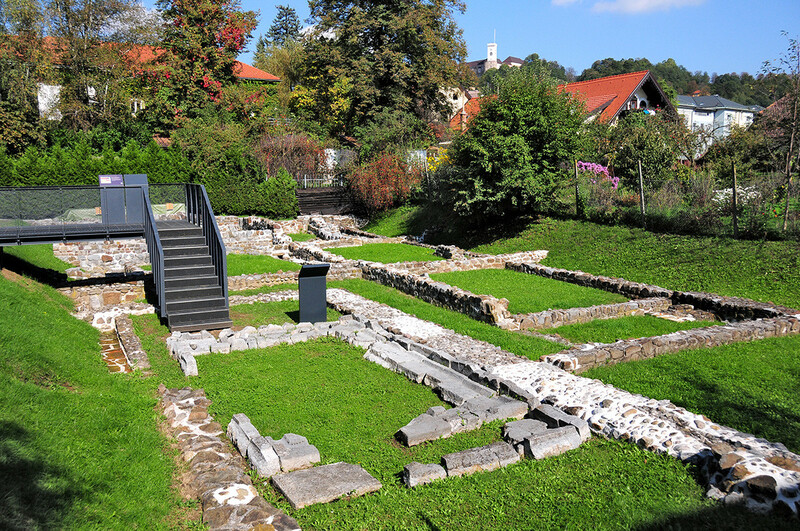 In addition to lending its name to various 21st century establishments, this early Roman settlement left its mark on - or rather under - modern Ljubljana in the form of well-preserved ruins located within the city's original 435m by 523m ground plan. 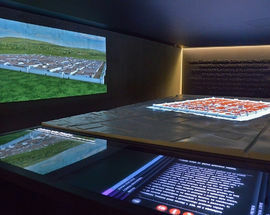 To celebrate the settlement's epic 2000th anniversary, the city of Ljubljana has organised a packed year-long programme of events and exhibitions, including the must-see City of the Empire exhibition on display at the City Museum. 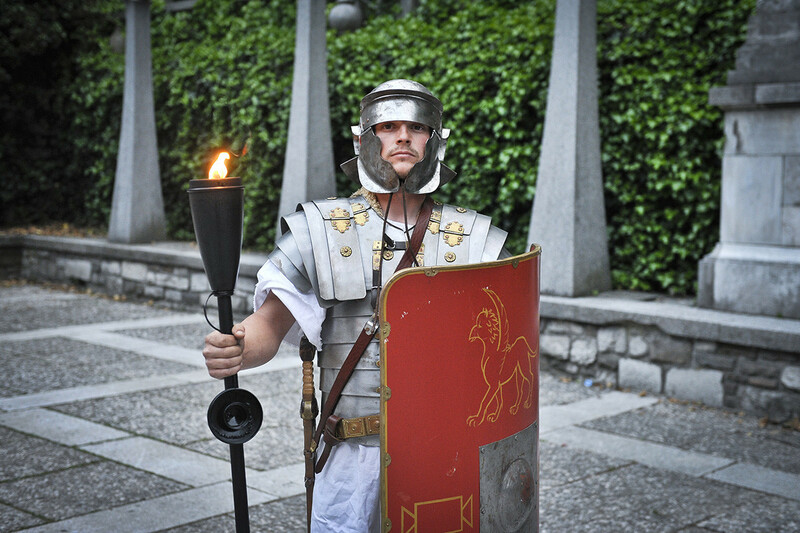 With the same entry ticket you can also go on a special walking tour, the Roman Trail of Ljubljana, which traces the ancient town's mysterious heritage, passing 10 important sites located within the modern city centre. 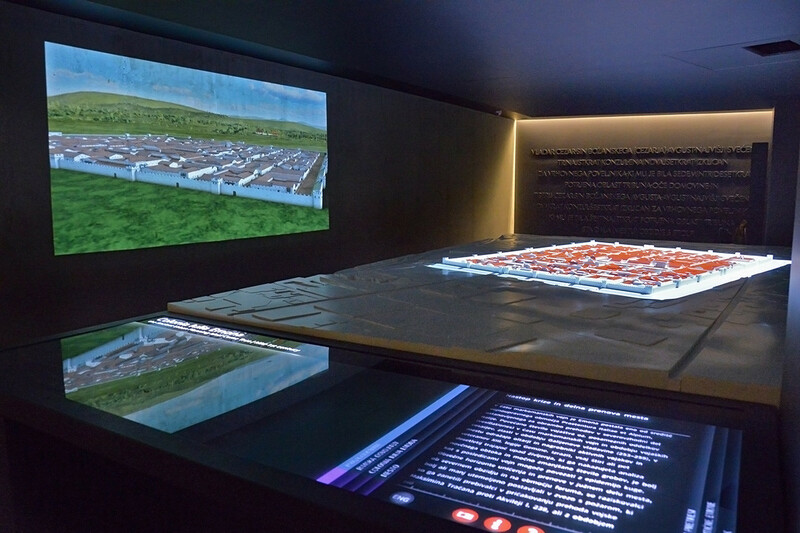 Admission includes an informative map and family guide, and a special illustrated children's guide is also available, which not only presents the history and culture of Emona, but also manages to make learning about it fun and interesting for the little ones with nearly 30 pages of inactive tasks, games and more. 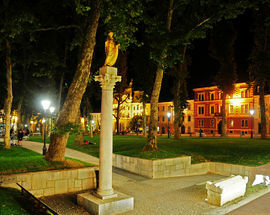 The Early Christian Centre is situated on Erjavčeva Cesta, just behind the Cankarjev Dom cultural centre. Excavations unearthed a Roman residential building, which, like the majority of Emonan houses, was built at the beginning of the 1st century. During its nearly 500 years of existence it was rebuilt several times, with the first major rebuilding undertaken in the early 4th century, when it was likely turned into private baths. 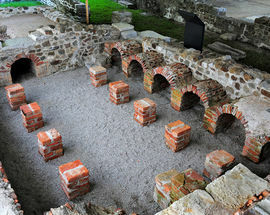 In the second half of the 4th century, one section of the house was rebuilt as an early Christian chapel, and shortly thereafter a rectangular baptistery was built alongside the central courtyard. The baptistery floor is covered in a multi-coloured mosaic with still visible inscriptions bearing the names of the Emonans who donated the funds for its construction, which confirms that there was already a strong community of Christians residing in Emona at that time. 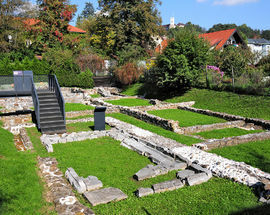 A short walk south of the City Museum, at the edge of the present-day city centre, is the Emonan House archeological park, which was only discovered during excavations in the early 1960s. The remains date from the late 4th and early 5th centuries, and judging from various amenities it was likely home to a wealthy and respectable Roman family. The central dwelling place was what is termed a summer room, with a floor made up of a two-coloured geometrical mosaic, which only the rich could afford at that time. 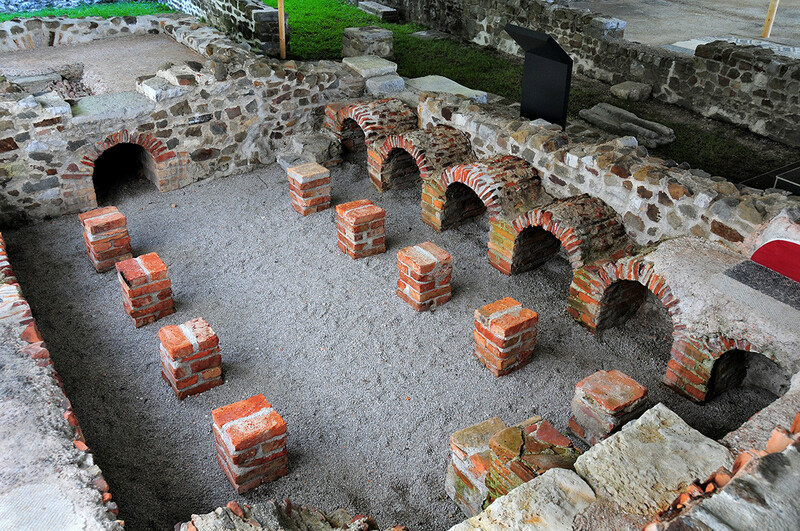 On the other side, the passage led to the so-called winter room, featuring a preserved hypocaust heating system. The building was also connected to a sewage system: waste water left the building through small drains covered by stones into a larger collection sewage drain (sewer) flowing below the nearby road and leading to the Ljubljanica River. Perhaps the most impressive of all the Emona monuments are the former city walls, which can be found along Mirje just south of the city centre. Originally surrounding the town, the walls were nearly uniformly 2.5m thick and reached heights of between 6-8m, with four main gates. 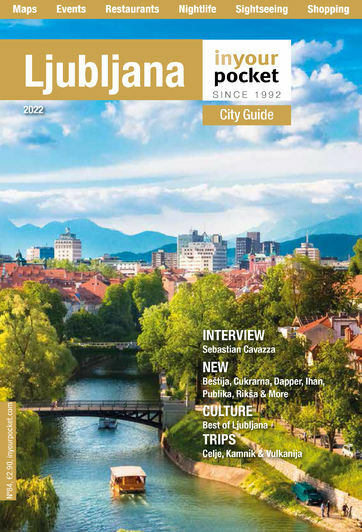 In a period of rapid urban expansion following the first World War, the Ljubljana city council made the decision to tear down the last remaining section of the walls so they could sell off the land for development and alleviate traffic congestion. 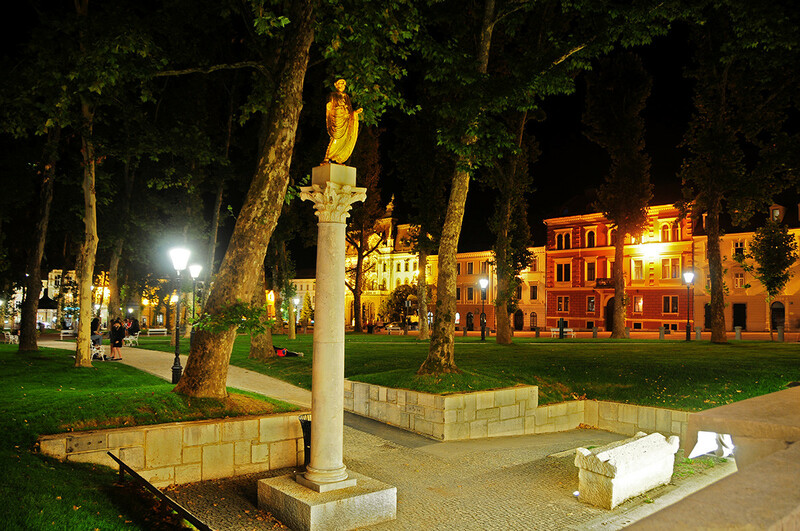 However, thanks largely to the efforts of France Stelé, who was then head of the city's monuments office, there was a public outcry against the proposal, leading the council to reverse its decision and restore the walls. The design of the restoration works was awarded to famed Slovene architect Jože Plečnik in 1926, and although his blending of modern and classical elements are now considered one of the Ljubljana's top attractions, at the time it proved quite controversial and the project was not completed until 1934. Explore the wall's passageways, pillars and pyramid on a sunny day and decide for yourself. For more information, see the City Museum's official website at www.mgml.si, or visit the museum at Gosposka 15 in the city centre Tues-Sun 10am - 6pm.